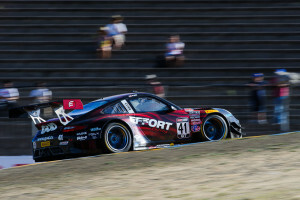 Michael Lewis hopes to lead the field of GT/GTA competitors for the Pirelli World Challenge season finale this weekend. Laguna Beach, California — California native Michael Lewis will conclude the 2015 Pirelli World Challenge (PWC) season in his home state this weekend at Mazda Raceway Laguna Seca on California’s central coast in Monterey. Michael and the No. 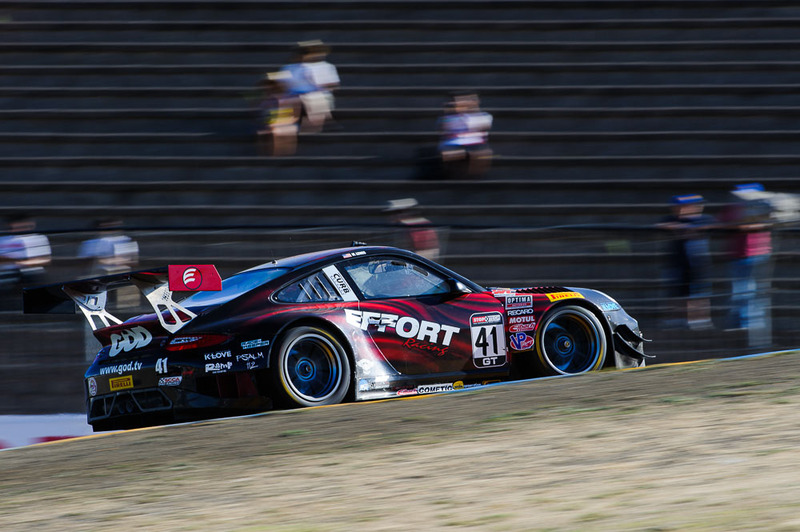 41 EFFORT Racing/Curb-Agajanian Porsche 911 GT3 R, along with the field of PWC competitors in the GT/GTA and GT Cup categories, will be part of the headlining event on Sunday, September 13, for the season-concluding Round 20 at the 11-turn, 2.238-mile road course. 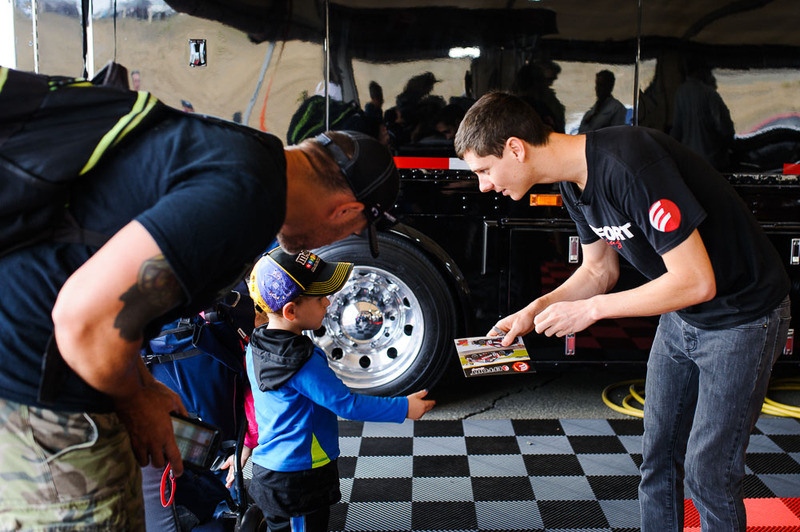 For those who will visit Mazda Raceway Laguna Seca this weekend for Round 20 of the Pirelli World Challenge, don’t miss the opportunity to meet Michael Lewis in person at Sunday’s autograph session. Michael hopes for a repeat performance of the last time he visited Mazda Raceway Laguna Seca, which was in May of 2014. 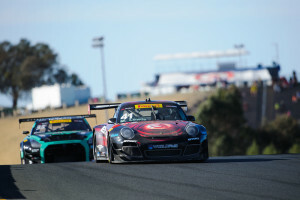 While competing in the IMSA Porsche GT3 Cup Challenge USA by Yokohama, Michael set the fastest time in qualifying, and then went on to win both of the event’s races. Round 20, the final race of the 2015 Pirelli World Challenge season, will take place beginning at 1:35 p.m. PDT on Sunday, September 20. The race will be broadcast live on www.world-challengetv.com. The last time Michael Lewis visited Mazda Raceway Laguna Seca, which was in 2014, he secured the fastest qualifying time and won two races. He and EFFORT Racing hope he repeats his strong results this weekend. Round 20 will be broadcast live on www.world-challengetv.com, and is scheduled to air on CBS Sports Network, Sunday, September 20, at 3:30 p.m. EDT/12:30 p.m. PDT. This entry was posted in News on September 9, 2015 .